For over ten years, Horizon Outdoor Design has provided our customers with breathtaking landscape creations. With careful emphasis on customer satisfaction, Horizon Outdoor Design combines exceptional designs with the high quality horticulture installed by a skilled team of landscape installation professionals. 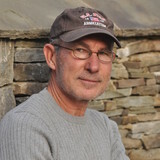 Co-owners Michael Cole and Chris Hall, founded Horizon Outdoor Design in 2000, and each partner possesses a comprehensive experience in landscape design, installation, and maintenance. 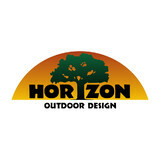 Since its inception, Horizon Outdoor Design has provided each customer with an incomparable level of customer service. Detailz Construction Corporation is a full service licensed home improvement contracting company. We pride ourselves on superior customer service, work ethic, quality of services performed and attention to detail. Whether you want to build a new home or remodel a bathroom, Detailz Construction will be sure to impress. We provide our clients with superior quality craftsmanship, materials, and customer service, all while offering competitive pricing. With our passion for building and remodeling, each of our teams work hard to ensure satisfaction with every project. Our good standing with the Better Business Bureau and Maryland Home Improvement Commission provides comfort to customers that Detailz Construction is a brand they can depend on every time. Our online reviews and customer testimonials speak volumes for our professionalism and quality of work. Throughout the past 10 years of developing, owning, renovating multi-family units, and businesses, and residential properties we have earned the trust of countless valued clients. Let Detailz Construction show you a better way to build by calling us today at 443-625-8716. Salzano Custom Concrete is a family owned and operated business based in Northern Virginia. We have over 30 years experience in concrete and construction services. Our "Decorative" group serves all areas of Northern Va and specializes in stamped concrete for driveways, patios, pool decks, walkways, walls, stairs, etc. 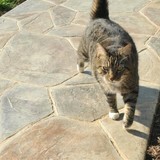 We also provide decorative concrete resurfacing, ie "coatings" as well as concrete polishing. We will spend time with you, one on one, to create an attractive, modern, and artistic design to complement the feel and setting of your property. Select from our many stamp patterns, colors, accent borders, and stair designs for your project. Contact us today to schedule our free design and estimate service. Thank you for visiting Salzano Custom Concrete. We will provide you with any information you need in the most convenient manner possible. Please email us today if you have any questions or feel free to give us a call anytime! *Authorized Techo-Bloc Dealer* Visit our 5,000 sqft. indoor hardscape materials showroom where you will find hardscape layouts, outdoor kitchen ideas, patio paver designs, patio lighting features and our high-quality patio furniture on display. Find the colors and textures that best complement your style and a guide to help you choose the best combinations. Here you will find hundreds of HARDSCAPE MATERIALS on display along with the a full display of backyard and patio ideas. 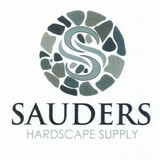 Sauders Hardscape Supply is a one stop distributor for Contractors looking for hardscape materials in Pennsylvania. We offer a vast inventory of patio pavers, retaining and double sided walls, drain systems, fire pits and accessories, pizza ovens, outdoor fire places, veneer stone, flagstone and natural stone and aggregates all ready for pick up or delivery. Contractors can bring their customers to our indoor showroom and guide them in the selection of hardscape materials available for their project. For over two decades homeowners, builders and architects have relied on Life Time Improvements Inc. for their creative designs and quality installation of their decorative paving stone projects. Paving stones are a great way to enhance your landscaping and outdoor living space. Replace old concrete, asphalt and wood decking with beautiful interlocking paving stones. Paver patios, walkways, driveways, pool decks and retaining walls provide a maintenance-free surface that is totally resistant to freeze-thaw cycles. Choose from a wide variety of colors and styles such as brick, slate, cobblestones and more. Contact us today and enjoy your new paver project for a Life Time. At S J Masonry, we offer you a wide variety of services. We specialize but are not limited to, stone patios, stone walkways, brickwork, and retaining walls. We also customize any project to meet your specific needs. Offering Residential and Commercial services, our team will be with you to the very end of the project, making sure that your dreams become a reality, by providing you with highest quality masonry work. Deciding to begin a masonry project can at the least be daunting, that's why our long-established team is committed to guide you through the entire process. We're passionate about keeping our customers informed through the entire job duration, giving you all the plans and details we have custom-created for your specific needs. This way we can find the solution that is right for you! From traditional to modern styles, we create unique concrete products using innovative green technologies that will make your home stand apart. At Conceptual Concrete we strive to push the limits of concrete. We use cutting edge techniques and materials to bring truly unique, environmentally friendly concrete products. We have been working with concrete for the past ten years and continually take any opportunity we can to attend seminars all over the country to further our craft. From indoor to outdoor, big to small, we can make you a beautiful concrete addition to your home or business. We are 100% Woman owned Masonry business (WBENC & MDOT certified). We specialize in stone, brick, pavers and concrete projects in both residential, commercial and government. We provide high quality stone work, such as patios, outdoor kitchens, fireplaces in/outdoor, retaining walls, sidewalks, pool decks, driveways, house stone facing, and foundations. Our Award winning design, skills and experience is unmatched in the industry. Let us help you create that outdoor experience that everyone will be talking about. *Authorized Techo-Bloc & Napoleon Dealer* L.T. Rush Stone and Fireplace is the areas smartest place for all your Fireplace needs. The areas best selection for Wood, Pellet, and Gas units. Including Fireplaces, Stoves, and Inserts. The areas leader in custom stone installation throughout Waynesboro, PA and the Cumberland Valley. Spruce up your home with a custom stone exterior, fireplace, or an outdoor kitchen. Visit our showroom to see how we can help you make your home one of a kind. Maryland Curbscapes gives you that brand new yard feeling! Maryland Curbscapes has experts with a combined knowledge of 40+ years in the industry. Don’t just trust anyone with your concrete work, trust a tried and true local company that knows how to get the job done right! FROM THE DESIGN TEAM We specialize in the new, the happening and the now where others see limitations we see possibilities. Every outdoor living space we transform is based on your vision. We manage all phases of the project in-house, ensuring the maximum attention to detail, with the highest level of quality and a value that suits your needs give us a feeling a color anything and we'll design a custom project that's equal parts beautiful and functional, Terranova Dreamscapes is focuses in our clients dreams. We are detail driven, design directed, and genuinely love what we do. We are just creative souls, with serious experience, fresh vision, and a creative sense of fun. We have the expertise to make your outdoor living design dreams come to life. Simmers and Sons Masonry, LLC specializes in all phases of Residential Masonry and Restoration. With our dedication to Customer Satisfaction combined with our expertise and experience of over 35 years we can easily guarantee your full satisfaction. We are a Family Owned and Operated full service Masonry Company. We are with you from start to finish of your Project. For the most part, people hire a stone or concrete contractor for large installations like driveways and walkways, or for home facades and exterior columns. These brick, pavers or stonework installations can add lots of functionality and visual curb appeal to your Maryland home. Pavers come in a wide variety of colors, shapes and sizes, and the right vendor or specialist can help you choose a color and design that complements your existing landscaping. From installing new exterior columns to repairing your chimney, masonry contractors can help you add both visual appeal and value to your property. They’ll know what kind of installation makes the most sense for your Lutherville Timonium, MD climate and regional style. Looking for something that will develop a patina with time? Or would you rather have your home feel brand new for years to come? Choosing the right kind of stone involves thinking about the future, too. Experienced brick suppliers and stone suppliers can help you find the material that will work for your home now and for years to come. These professionals aren’t limited to exterior work either. Whether you want a split-stone granite wall in the kitchen or need help installing traditional brick masonry on your fireplace facade, you’ll want a professional to get it right. If you’re already working with an architect or designer, he or she may be able to suggest a good Lutherville Timonium, MD subcontractor to help out. Here are some related professionals and vendors to complement the work of stone, pavers & concrete: Landscape Architects & Landscape Designers, Architects & Building Designers, Garden & Landscape Supplies, Driveways & Paving, Siding & Exteriors. Find stone, paver and concrete professionals on Houzz. Search the Houzz Professionals section for Lutherville Timonium, MD stone, paver and concrete professionals. Browse photos and read reviews, and contact a pro if you like their work.